The once-prosaic thermostat has become a high profile design object as of late. 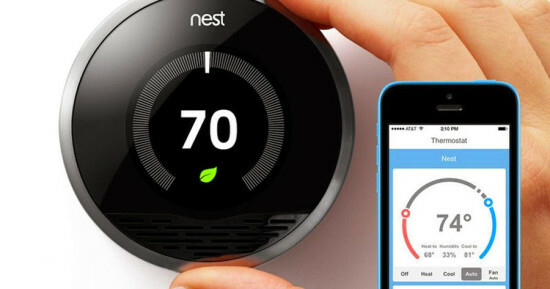 As a critical gateway for the “Internet of Things” and the world of the connected home, it’s increasingly seen as an HVAC status symbol. With his new scheme for the Hive for British Gas, Yves Béhar takes a step back from the fray and focuses on the unit’s ease of use. 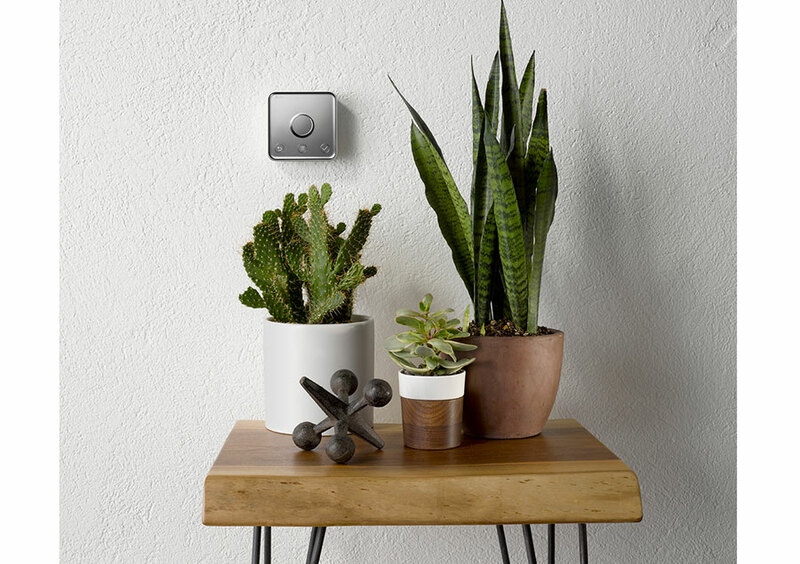 Compared to the first learning thermostat, Nest, and its smart-home spawn, Hive takes a low-key approach to aesthetics—but does so via some fairly fancy interface technology. Until it is touched, the face of the unit remains a blank, mirror-like surface. 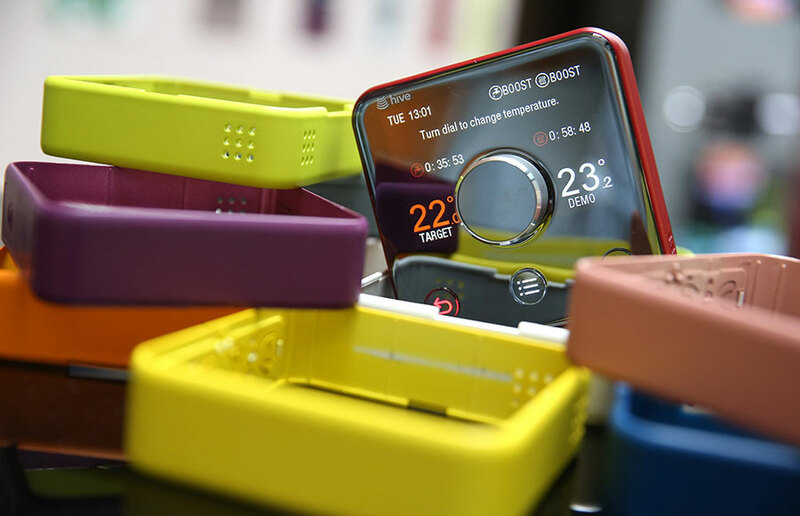 Changeable frames for the Hive (above) work to bring the user into the experience and put them in control of the device—not vice versa. Nest’s hardware and interface are resolutely minimalist—indisputably a factor in its success in the marketplace (it’s estimated that 10,000 units are sold every day)—but graphically, it’s more heavy-handed and generic. 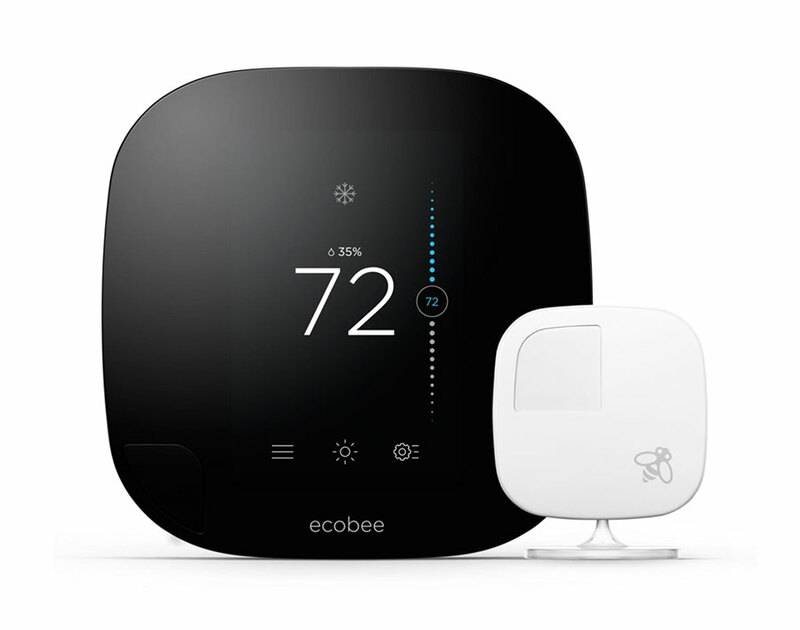 The Ecobee3 wi-fi thermostat features remote mini-monitors that track the temperature in more than one room of the house. Occupancy sensors help save energy and reduce operating costs. The device’s rounded corners and a cutesy insect icon convey an emphasis less on science and more on everyday accessibility. 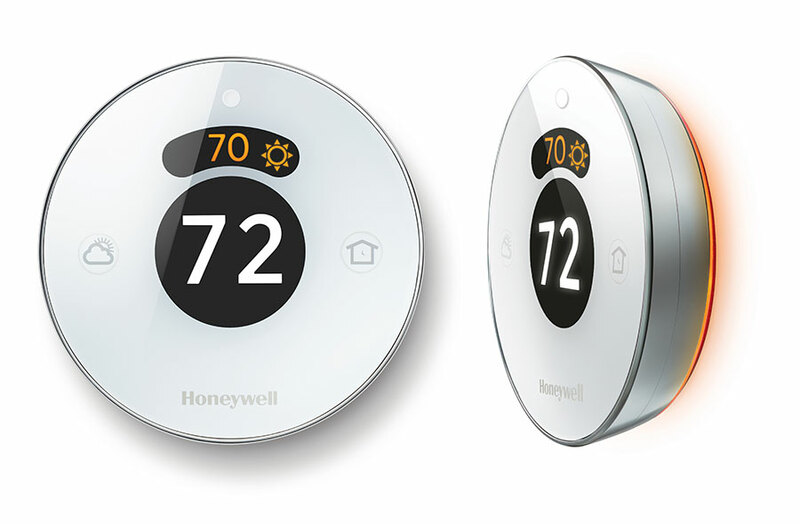 From the originator of the original Round thermostat (which was designed by Henry Dreyfuss), the Lyric has geofencing capability, which enables the device to adjust automatically, based on the location of the user’s smartphone. By inverting the dome profile of Dreyfuss’ 1953 icon, the design pays homage to a classic while supporting today’s technology.